Dual-color, 2-way LED turn signal bulbs for the 03-08 Tiburon. 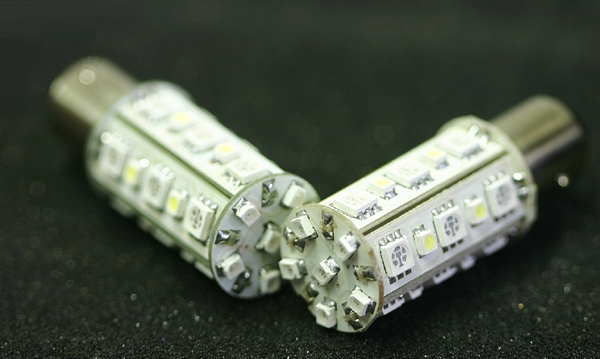 These LED's connect directly to the OEM turn signal bulb's socket in the headlight and must be wired to the custom modules which are included. 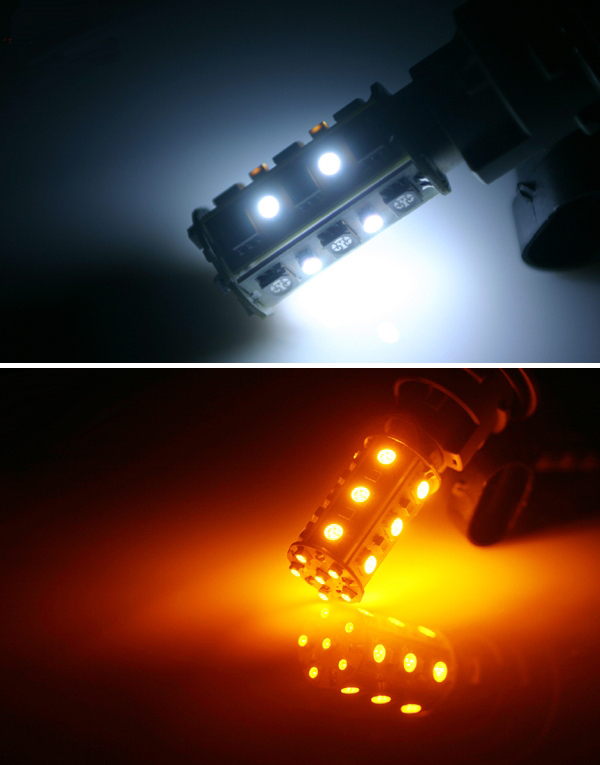 The benefit of these LED bulbs is that they allow you to keep a white parking light, but when you activate the turn signals or hazards, they immediately switch to blinking amber-color! In other words, even though the are normally white when you turn on your parking ligths/headlight, they light up orange when turning--so this makes them legal in North America.